Milwaukee, WI – Last weekend, beautiful weather and beautiful people combined at Milwaukee’s lakefront for the 30th anniversary of PrideFest Milwaukee, one of the nation’s largest celebrations of LGBTQ culture and community. With 37,682 visitors attending this year’s festival, attendance was up 13%over the previous record of 33,438 set in 2016. Through the PrideFest Plus One campaign , PrideFest raised $5,109 for GSAFE, Wisconsin’s greatest advocate for LGBTQ students in an academic setting. 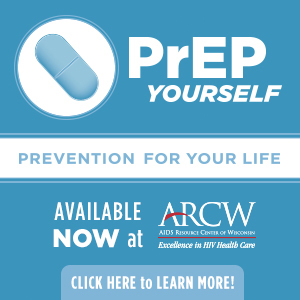 Multiple admission specials, including Free Opening Ceremonies, Fests Feed Milwaukee and Armed Forces Pride promotions, ensured open access to the celebration. 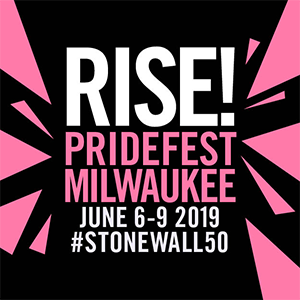 PrideFest Milwaukee, operated entirely by volunteers, also offers free admission to anyone who contributes to the community experience as a festival volunteer. PrideFest Milwaukee 2017 featured headliners Betty Who, 10,000 Maniacs, Steve Grand and Todrick Hall, along with over 150 diverse acts on eight stages. Randy Rainbow, political commentator, served as Master of Ceremonies and marriage equality activist Jim Obergefell hosted Opening Ceremonies as keynote speaker. PrideFest Milwaukee 2018 dates will be announced in July.